Johnnie Meet Jane, a Match Made in a Brewery!! Take a look ladies, there's a new whiskey in town. Diageo’s Johnnie Walker Black Label Whiskey will feature The Jane Walker Edition. The new editition should easily attract new women connoisseurs and furthers gender equality. 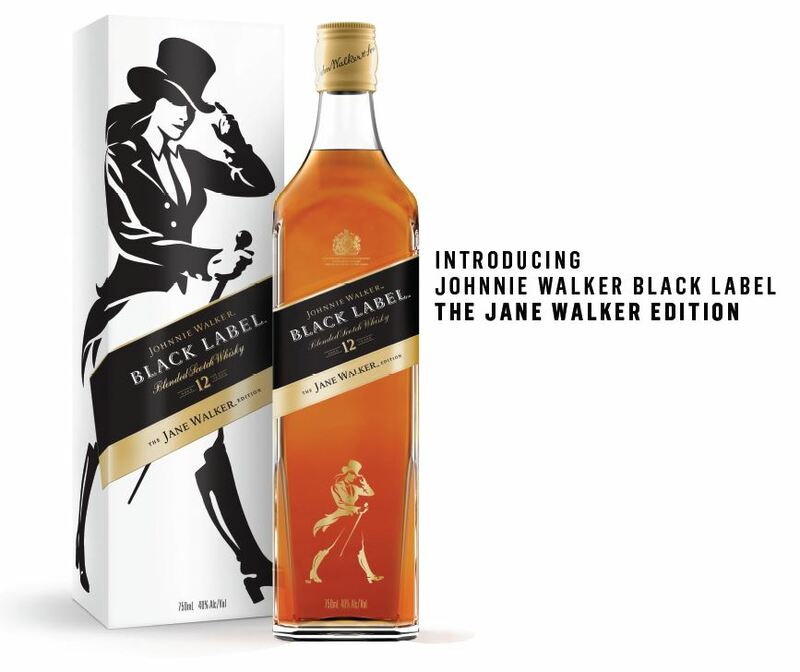 The Jane Walker Edition will have a woman striding on their label, instead of the traditional man wearing a top hat. The beautiful bottle shows off their classic black label and the golden details include an image of Jane Walker. Jane Walker will appear on 250,000 bottles nationwide in March. For every bottle produced, Diageo is donating a dollar to organizations that promote women, including Monumental Women and She Should Run. The Johnnie Walker Black Label is matured for at least 12 years. The flavors released are sweet vanillas, orange zest, and an aroma of spices and raisins. The finish is smooth layered with rich smoke, peat, and malt. Would I drink this? Yes. The bold and sweet flavors are appealing to me. If this bottle is benefiting Women’s organizations, then what better reason to buy a bottle? The suggested retail price is $34 for a 750-milliliter bottle.